Calendula (marigold) is in the Asteraceae family. The name calendula means calendar or clock. The calendula got this name because of it's clockwork blooms which came at the beginning of each month for most of the summer months. Marigolds are often referenced to the Virgin Mary (Mary's gold). In times past, marigolds were placed at the feet of the statue of Mary. In ancient times, garlands of marigolds were placed around holy statues and on church alters. Marigolds colors vary from yellow to bright orange. 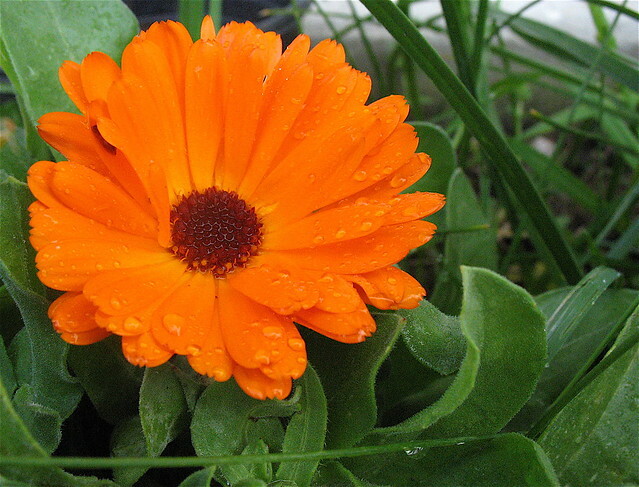 Calendula (marigold) is associated with affection, compassion, desire for riches and sorrow. Calendula (marigold) and cosmos represent warmth, joy modesty and serenity. 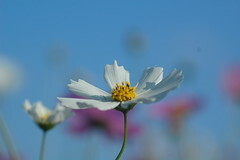 The cosmos can be both perennial or annual. They can be found in the Southern United States, Mexico, and other parts of Central and South America. Their colors range from pink, red, yellow, magenta and white. They have a yellow center and usually grow 2 - 4 feet tall. 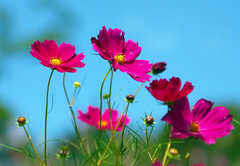 Cosmos are a symbol of order and peace. Calendula (marigold) and cosmos represent warmth, joy modesty and serenity.